FONES CLIFFS- Land was illegally cleared by Virginia True Corporation in 2017. FOR continues to seek corrective action. Friends of the Rappahannock (FOR) is pleased to share the news that the Virginia Office of the Attorney General is joining the discussion on enforcement of violations by Fones Cliffs’ developer, Virginia True Corporation. FOR staff is standing by to assist the Attorney General’s office, as they consider the facts of the case, evaluate the implications of such gross violations of the State Water Control Law, and take further action to resolve this situation. Earlier this month, FOR and its partners were guardedly hopeful when we learned that DEQ was not moving forward with its Consent Order but instead was evaluating its options for appropriate enforcement of the violations by Virginia True at Fones Cliffs. 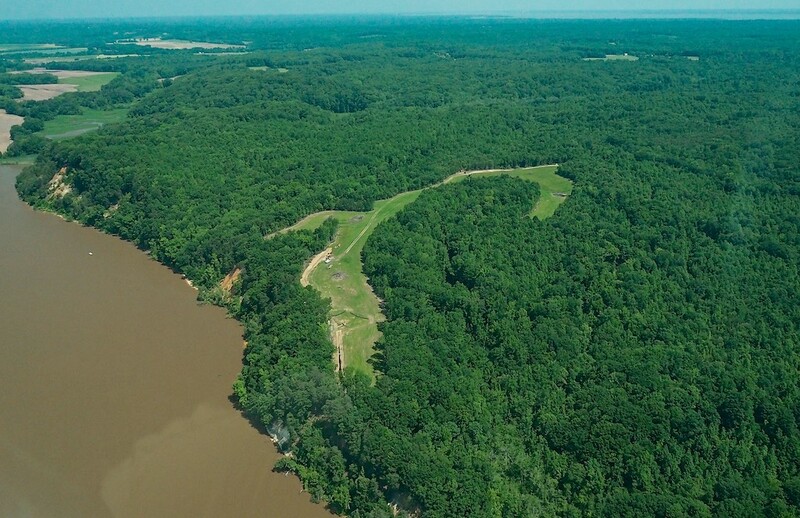 Today, we commend DEQ, and the Attorney General’s office, for taking this next step in protecting the Rappahannock River from damaging sedimentation caused by erosion off the site and the cliff face. FOR’s comments on the consent order argued that the civil charges and action items were inadequate to address the violations, and subsequently, the environmental damage. We hope the Attorney General’s office comes to a similar conclusion and seeks penalties that are in line with the violations by Virginia True and which send a clear message that such illegal activities and slow corrective responses will not be tolerated. Our water resources are too important to the well-being of our Commonwealth. FOR extends its thanks to our membership and river community for your voices on this issue. For more information on this developing story, please start here.